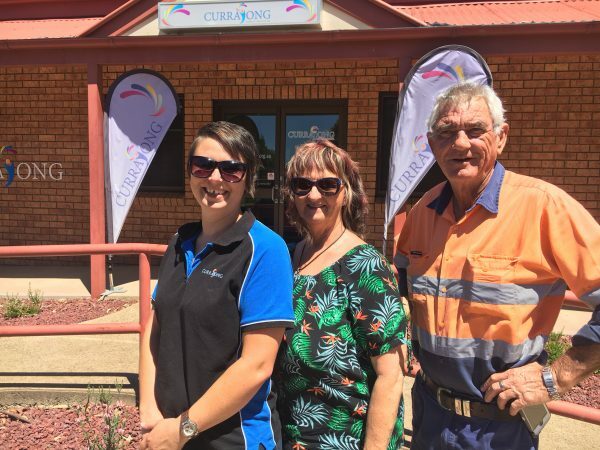 Indigo Kriedemann with social organiser Lilian Thomson and Tony Latter from Railway Bowling Club, Parkes who are kindly hosting a fundraiser for CDS on February 3. MARK down Saturday February 3 in your calendars all family, friends and client! A Day On the Green will showcase the best musicians in Parkes as they headline a special fundraising day for Currajong Disability Services at the Railway Bowling Club. From Twiggy and Jordan Dwyer to Chris Orr, Birdie and Georgie Sideris as well as Tommy and Holly Orr, there will be the crème de la crème of Parkes music on display for all to see. “We wanted to do something for Currajong as they do so much for so many – including my grandson Cooper,” said Lilian Thomson, organiser of the CDS fundraiser. “We want to help CDS raise necessary funds for a new Care Chair as they try to raise money for a second chair. “Such an asset makes a big difference to wheelchair based clients at CDS such as Amanda, Wade and Cooper and a second chair will allow them to utilise them every day,” said Lilian. For Marketing and Communications co-ordinator Dane Millerd, the day is also important as it allows more people to not only support CDS but learn about what they do and are trying to achieve. “CDS prides itself on being the leading NDIS Disability Services Provider in the region and being able to raise funds for such a worthwhile asset further establishes this,” he said. “We have taken big steps forward in the past 12 months and are extremely grateful for Lilian and her team for thinking of us and staging this tremendous event. The event will include a BBQ, raffles and lucky door prizes and great music! Children are welcome between 4pm-8pm with the event to finish somewhere around 11pm.